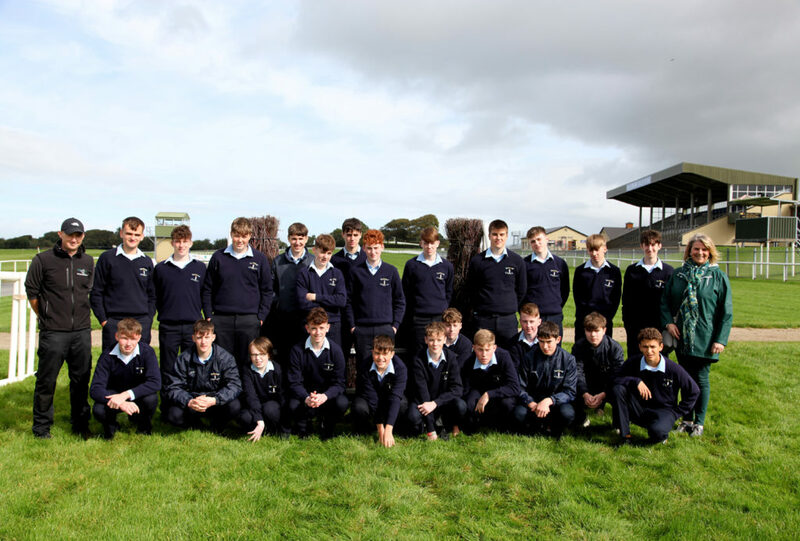 At the Transition Year Education Day at Ballinrobe Racecourse, pictured were T.Y. Students from St.Colmans College Claremorris with Racecourse Track Manager Cathal Flannelly and their Teacher Carmel Cruise. 127 transition year students from two local secondary schools, St Colman’s College, Claremorris and Ballinrobe Community School, got to go behind-the-scenes at Ballinrobe racecourse today. At the Transition Year Education Day at Ballinrobe Racecourse, pictured were students from Ballinrobe Community School, with their Teacher Shane Conlon and Racecourse Manager John Flannelly. The students met with racecourse manager John Flannelly who spoke about preparing for racedays and the role of the racecourse in the community. 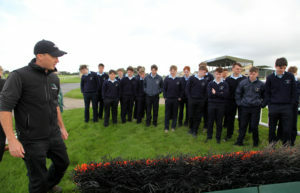 John also took students on a tour of the racecourse. 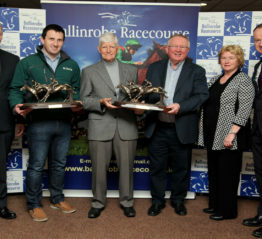 Ballinrobe Racecourse Track Manager Cathal Flannelly. speaking to students from St.Colmans College Claremorris at the Transition Year Education Day at the Racecourse. 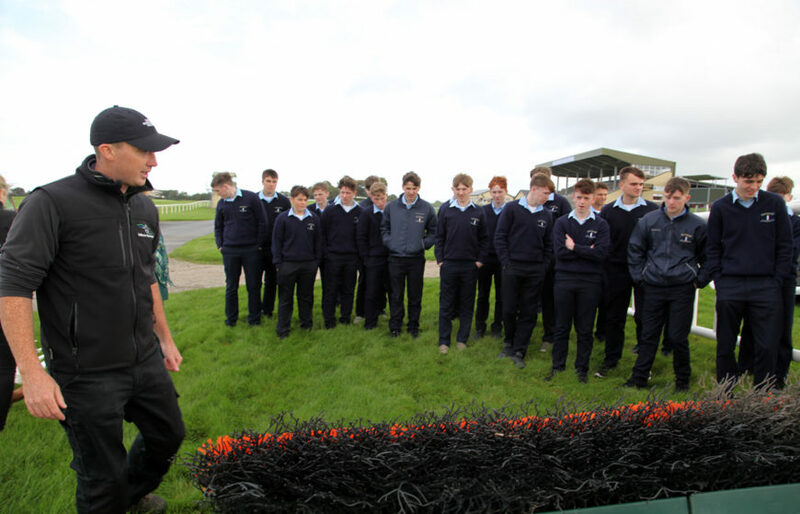 Track foreman Cathal Flannelly discussed ground maintenance and management, while trainer Michael Grassick from the Irish Racehorse Trainers Association spoke to the students about life as a racehorse trainer and about how to prepare a horse for the races. Patrick Ryan from HRI’s CARE department gave the students an overview of the racing industry and discussed potential employment options within the industry. 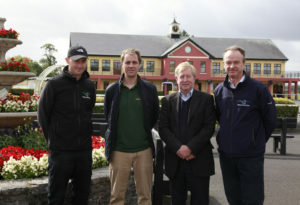 At the Transition Year Education Day at Ballinrobe Racecourse, pictured were speakers at the event:Left to right:Ballinrobe Racecourse Track Manager Cathal Flannelly, Horse Racing Ireland representitive Paddy Ryan, Irish Racehorse Trainers Association CEO Michael Grassick and Racecourse Manager John Flannelly. The objective of the HRI’s industry education day is to build ties between the racecourse and their local community and build on the growing interest in horse racing among students, creating opportunities to experience the sport in greater depth.